In this issue of the GO Oakland Educator Newsletter, you’ll find news about the work of the GO Teacher Policy Fellows (and ways you can get involved! ), an opportunity to have Donorschoose.org Projects funded by the Rogers Family Foundation, and a brief update on the OUSD teacher contract negotiations. Last week, Teacher Policy Fellows leading in our Budgeting for Impact Campaign helped lead a Teacher Budget Feedback Session at Greenleaf Elementary School. At this event, OUSD teachers learned about OUSD’s budget issues and give feedback about effective programs at schools and central office departments. One of our biggest takeaways from this meeting is that teachers, and the community at large, have very different understandings of the current state of OUSD’s budget. To help with this, we’ve prepared the video below. In it, Nima Tahai, GO’s Director of Educator Leadership, explains the district’s projected structural deficit. More teachers must be engaged in discussions like these. The Fellows are dedicated to bringing teacher voice into budget conversations and would love to come to your school or community organization meeting to share what they know and hear your concerns. Click here to schedule a gathering. This Fall, Along with other 1Oakland leaders, the Teacher Policy fellows in the 1Oakland Campaign are leading the charge for a redesign of our school system by advocating for a city-wide Community of Schools that is sustainable, high-quality, equitable, data-driven, and committed to continuous improvement. See our explainer video below to learn more about the Community of Schools Plan. 1Oakland leaders completed over 2,500 hours of engagement through research meetings with experts, families, educators, and community. They then drafted 25 recommendations that reflect the community research as well as 1Oakland values, and guiding principles and shared them with OUSD leadership with the goal to help shape the Community of Schools plan that OUSD is currently developing. Before Winter Break, we’ll be hosting a conversation with Superintendent Johnson Trammell, Deputy Chief of Innovation Yvette Renteria, and Chief of Staff Curtiss Sarikey, about the 1Oakland recommendations and the Community of Schools City Wide Plan. If you would like to come to the event, please let me know. 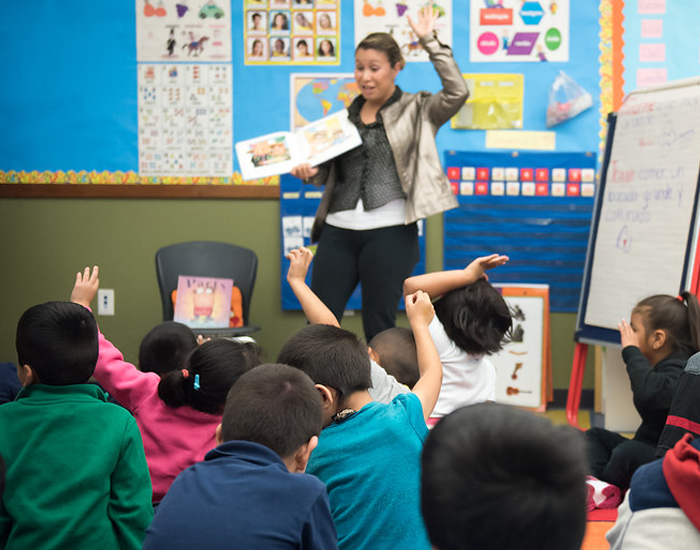 GO Public Schools Oakland is sharing the news that the Rogers Foundation wants to help you and your students ring in the new year with new classroom materials by funding up to $15,000 of Donorschoose.org projects on January 2nd. In order to qualify for this donation, project subject matter must be one of the following: Grades K-3 Literacy, K-12 ESL or K-12 Special Education. Additionally, projects need to be posted by Oakland educators at schools with more than 75% of students from low income households, have a total project cost of $825 or less, and be posted between December 7th and December 28th. As you might already know, DonorsChoose.org is a website where teachers can post classroom project requests and make it easy for anyone to help a classroom in need. It’s easy to set up a project and we hope to make it even easier to get funded. Please don’t hesitate to reach out to me with questions. Last week, the OEA and OUSD bargaining teams met for what will likely become their final mediation session. According to the latest OEA Bargaining Update, the union believes that mediation has run its course and the parties should move on to fact-finding, a process of researching and identifying key factors around the budget. Check out our previous post to learn more about fact-finding and this article in the SF Chronicle for more on the union’s perspective. Thank you again for your work with Oakland’s students and families. We hope you all have a great rest of December and a joyous, rejuvenating Winter Break!